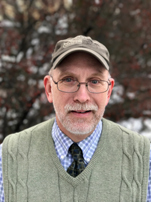 As director of the Plant Disease Diagnostic Clinic, Brian Hudelson serves the state from his base on the UW–Madison campus. “My primary job is to identify plant diseases and provide my clients with diagnoses and information on disease control,” he says. His clients include agribusinesses, home gardeners and plant health consultants (for example, crop scouts and arborists). Hudelson does his share of teaching—he’s a co-instructor in several plant pathology courses and teaches plant disease diagnostics to graduate students each summer—and “tons of outreach,” he says. In 2016, Brian participated in 104 programs in 29 counties as well as producing fact sheets and appearing frequently on Larry Meiller’s “Garden Talk” on Wisconsin Public Radio. “I love the variety of what I get to do and that I’m always learning new things, even after 19 years,” Hudelson says.